The best way to create awesome content marketing pieces is not to outsource their creation. It’s to learn how to create them yourself. What I can do, however, is show you the steps you and/or your staff can take to learn how to create great, authentic content that not only reflects your brand, but adds to it. With a little help from two writers who helped form my foundational knowledge on creating great content, here are four steps you can take to immediately begin writing (or improving upon) your own content. The truth is that the folks who are actually part of your company, understand the culture, and communicate with customers on a daily basis are the ideal people to create content for your content marketing efforts. But before we get there, we’re first going to have to trust that the average employee is capable of creating good content. In King’s world you’re either born great like Shakespeare, born good with no hope of ever being great, born competent with the capacity to become good, or born bad with no hope of being competent. The good news for you and me is that you don’t have to be born great like Shakespeare to create great content marketing pieces. Actually, it’s probably better that you’re not Shakespeare. Why? Because content marketing isn’t always about being the most creative, the most eloquent, or the most likely to inspire tears streaming down your readers’ cheeks. It’s mainly about knowing when to shut up and not reinvent the wheel. Content marketing, copywriting, and social media are not fields for pseudo-philosophic mustache waxers, pipes stuffed with fine tobacco. You don’t need to own many leather-bound books. Your apartment doesn’t have to smell of rich mahogany. Content marketing talent is not some gift bestowed by God upon a select few golden children. It’s combining proven principles and psychology with a curious mind that’s not afraid of a little creativity. People today are motivated by most of the same things that have motivated us since the beginning of time. Your job is to arrange words on a page that will tap into those motivations and connect them to the product or service you know can help them. And it doesn’t take a sonnet to accomplish that. Invest in your current resources and talent pool. Push them to become more. The results may surprise you. Creating good content, of course, takes more than mistake-free, mechanically sound writing. Simply put, to understand content marketing, you have to understand how to connect the dots—to realize that the story a customer just told you about her business during a routine customer service phone call reveals a killer lesson that applies to a large number of your customers. Some will say this ability to create divergent concepts is innate, that it can’t be learned. I disagree. Almost everyone has at least somewhat of a curious mind. And, just like you can turn a competent writer into a good writer, you can turn someone who is mildly curious into someone who is greatly curious. Again, these are the qualities that the best writers possess. So even if you work on improving at just two or three of them, you can still end up miles from where you began. In fact, if you did nothing but focus on reading more and becoming a better listener, your ability to relate divergent concepts would improve by leaps and bounds. The more you see, the more you experience, the more you feel, the better you’re going to be at empathizing with your audience and actually communicating a way to solve their problems. 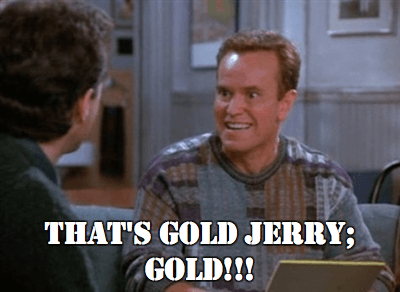 Okay, okay, so technically Seinfeld wasn’t even around yet when Joseph Sugarman first published his classic book on direct sales copywriting, Advertising Secrets of the Written Word. But that doesn’t mean I can’t retroactively attach a clever name to one of his techniques. Let me explain the first draft, Sugarman style. The first draft is a brain dump. It can be disorderly. You can slap grammar right in its smug face. Twice. That’s right, double slap that SOB. You’ve probably heard this before, because it’s fairly common advice for all kinds of writing. But the important part is what he describes as the next step in the excerpt you just read. Sugarman’s advice is basically to do nothing right after you’ve just gotten going! That’s why I refer to it as the Seinfeld Method. What was Seinfeld’s concept? It was a show about nothing. Pretty much 90% of the episodes were just Jerry, George, Elaine, and Kramer hanging out in Jerry’s apartment, eating lunch at the coffee shop, going to the movies, or waiting for a table at a Chinese restaurant. Those are the exact types of things you should go do after your first draft. Anything to take your mind off the copy. What is the root of most bad writing, you ask? Whenever you create new content, odds are that you’re working under a deadline. You’re definitely working under the pressure to deliver something—clicks, conversions, cash. Don’t ask yourself the wrong questions that feed into that fear like, Will this headline get me more clicks? Any questions that enter your mind should be about the customer and the customer only. When fear starts creeping in—and it will—remind yourself why you’re writing in the first place. You do it because you believe in the product or service you’re writing about. You do it to make customers’ lives less painful. And you do it because damn good content delivers damn good results. Writing from a place of fear is stupid. Here’s the worst that can happen if your content is bad—you find out one more way not to market something to a particular audience. Look, you can’t control how the audience reacts. All you can do is put the content out there and hope it works. If it doesn’t, you learn something. If it does, you learn something AND you start getting paid more. So smile. Forget the fear. If you’re smart enough to be a Convince & Convert reader, you have the capacity to create awesome content that will help people and, in turn, your business. 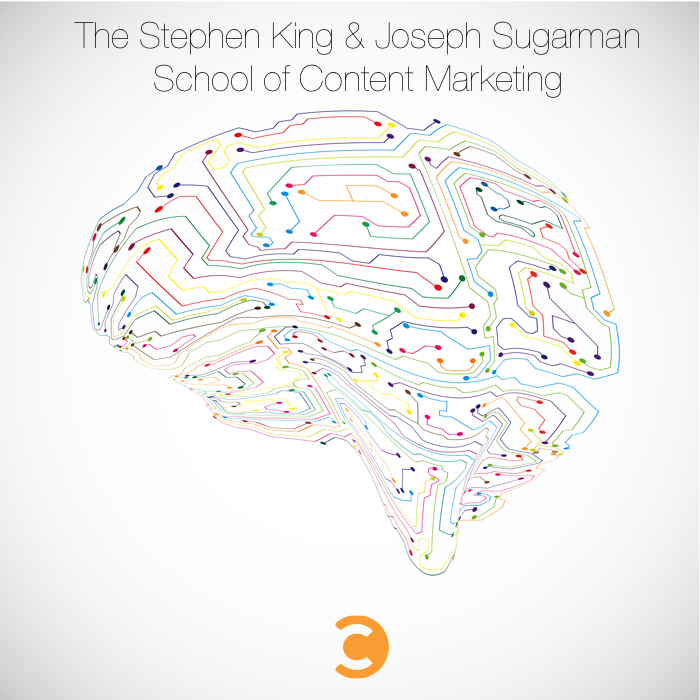 It’s not easy, but if you’re willing to work at it and follow proven advice like the four tips I just listed from Stephen King and Joseph Sugarman, you’ll make the journey to having awesome content a lot less difficult. Will Hoekenga is the founder of Copygrad, the place where folks learn next-level copywriting and content marketing skills. To get more actionable tips on improving your content, go here and get a free copy of his ebook, The Copywriter’s Library—the book that turns you into you a well-read content marketer in 15 minutes or less.